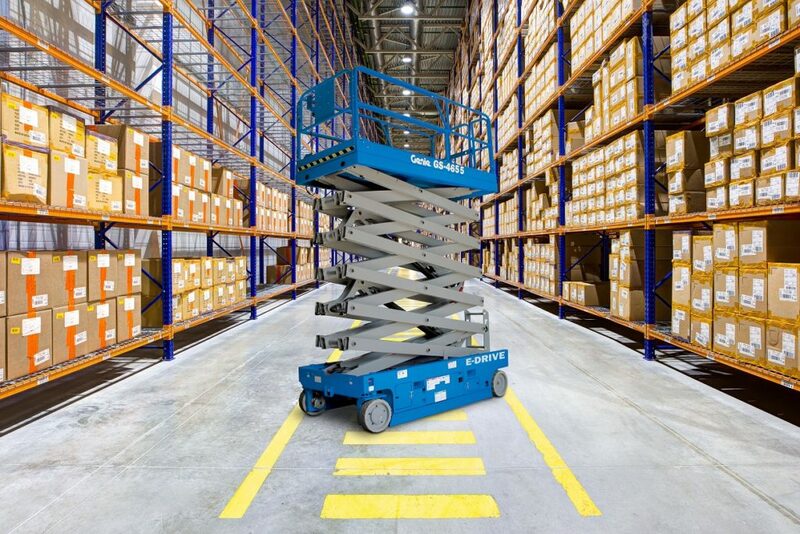 Maximum working height, heavy-lift capacity and powerful new AC electric drive motors enhance eco-friendly productivity in a light and compact package. As part of its bauma 2019 product lineup, Terex Aerial Work Platforms will be showcasing the new Genie® GS™-4655 scissor lift on booth n° FM 711. The latest addition to the brand’s large electric slab scissor lift family, this new eco-friendly machine comes in a compact, lightweight package and combines maximized productivity with increased battery runtime and reduced service costs. Equipped with the latest generation of fully sealed AC electric drive motors for excellent ‘green’ efficiency, it is even suitable to meet the demands of indoor and outdoor access tasks. This new model will be available globally in Q3 2019. The proven Genie Smart Link™ control system simplifies troubleshooting with onboard easy-to-read and user-friendly machine adjustments and onboard diagnostics, reducing downtime and maximizing rental return on invested capital (rROIC). Compatibility with the Genie Tech Pro™ Link handheld diagnostic tool option, which enables plug-and-play software updates, settings adjustments and calibrations, with full error code readouts for simple diagnosing and troubleshooting. For more information on the Genie product line up available at Sleator Plant, head to the Genie page here.